Posted on 14, March 2018 by EuropaWire PR Editors | This entry was posted in Construction, Management, United Kingdom and tagged construction, Goldney Hall, GRAHAM Construction, historic site, Leo Martin, stabilisation works. Bookmark the permalink. Contract to undertake stabilisation works to woodland and boundaries in the grounds of the historic site. Hillsborough, UK, 14-Mar-2018 — /EuropaWire/ — GRAHAM Construction has commenced work at 18th century Goldney Hall in Bristol. GRAHAM won the contract to deliver stabilisation works to woodland and boundaries in the grounds of the historic site. Goldney Hall is now a University of Bristol hall of residence but its history dates back much further. Works now underway on the £1.4m contract will take 30 weeks to complete, subject to ground conditions. The site at Goldney Hall is currently being cleared to allow GRAHAM’s team to work in the wooded areas. Other preparatory work includes providing temporary access for vehicles and excavators and the creation of a site compound. The existing stone boundary walls on the site will be repaired and rebuilt in order to match existing sections. The final stages of the contract will see landscaping works and tree planting carried out to the wooded area. Leo Martin, GRAHAM Construction’s Managing Director, said: “We are delighted that we have secured this contract with the University of Bristol and that they turned to us to carry out these works on such a prestigious site. 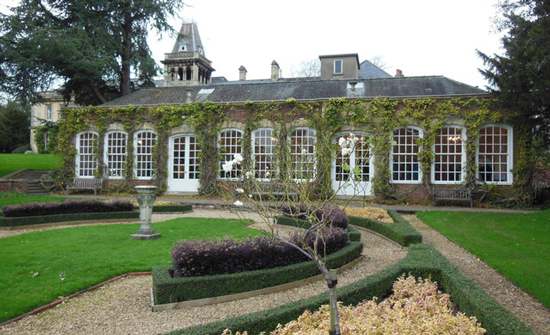 Goldney Hall is located in the picturesque Clifton area of Bristol. The house was originally developed by Thomas Goldney II in the early 18th century. Previous inhabitants include Lewis Fry, of the famous Quaker family of chocolate manufacturers. In addition to being home to students studying in Bristol, the Orangery at Goldney Hall now regularly plays host to weddings. GRAHAM Construction has extensive experience across the education sector. Recently, work started on an upgrade to Queen Mary University of London, refurbishing and extending the existing school of Mathematical Sciences building and building a new central space to enhance the learning experience provided to students at the university. GRAHAM is also constructing the North-West Campus in Dumfries, a state-of-the-art facility that will be the new home to 1,000 pupils between the ages of 3-18 from the current Lochside and St Ninian’s primary schools, Langlands Special Secondary School and Maxwelltown High School. Also at the early years end of the sector, GRAHAM Construction is working in London on the expansion project at Byron Court Primary School in Wembley. The school’s modernisation will see GRAHAM demolish eight existing buildings on site and construct a new part single, part two storey building, as well as creating an all-weather MUGA (multi-use games area) and associated landscaping, parking and upgrading of access. GRAHAM’s focused approach also sees the business delivering contracts for Highways England, the Metropolitan Police Service, a host of local authorities and utilities companies, property developers and many other clients from the public and private sector.